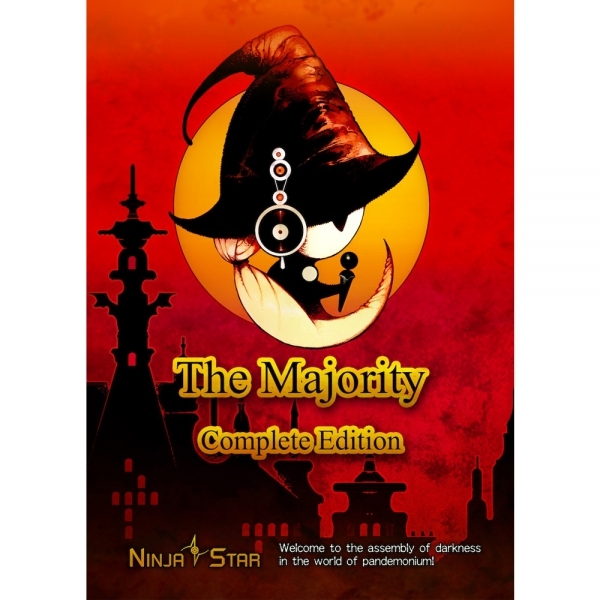 The Majority is a card game by a Japanese indie game designer, Muneyuki Yokouchi. The Majority Complete Edition combines two of his popular games The Majority and The Majority 2 into a single box. 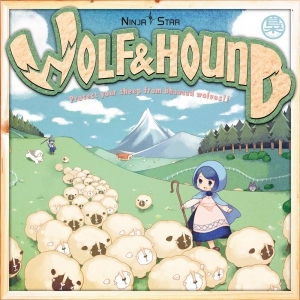 In this game, each player is a leader of a political party in the assembly of darkness. His or her objective isn’t to fairly play the games of politics. The sole goal is to manipulate others and abuse the powers to earn the most money! 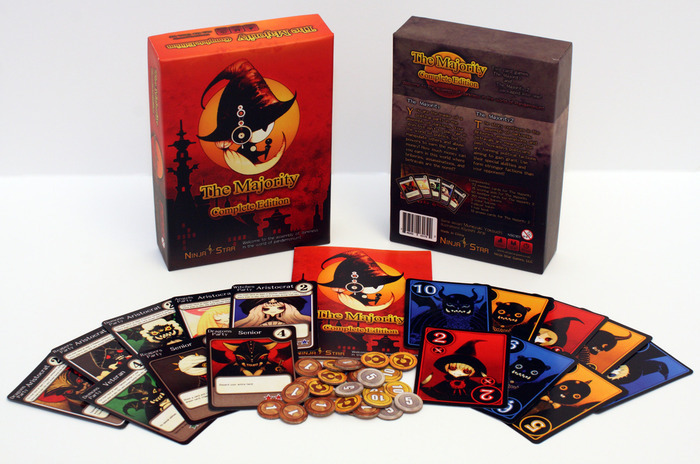 The Majority is playable with 3 or 4 players. 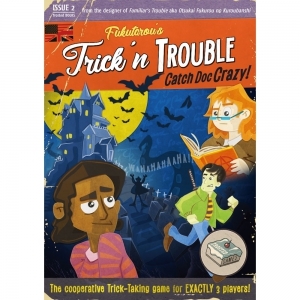 In a 4 player game, the game is played in teams of 2, forming a 2 versus 2 game. 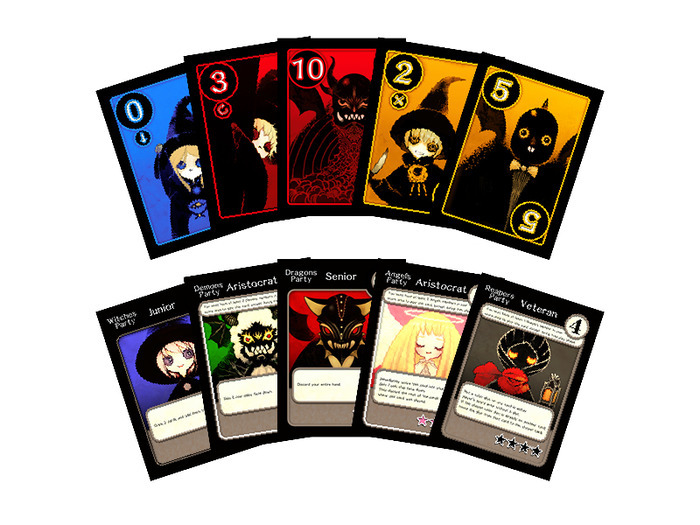 In this game, each player will be playing a card from his or her hand to form political parties. 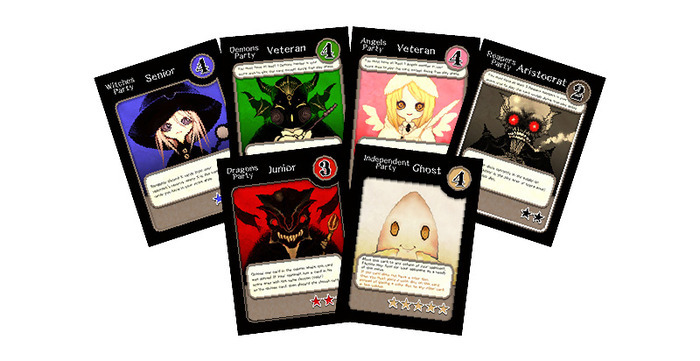 Cards have different special abilities as well as strengths in the political party. 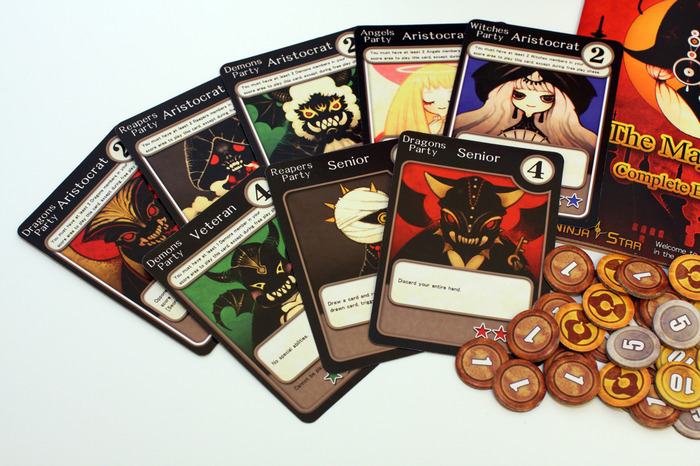 Players will be using these cards to form a strong and powerful party. 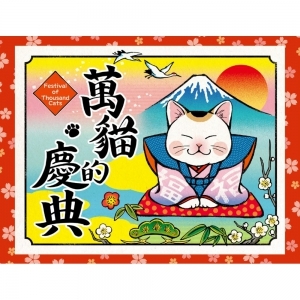 However, in this game, having the strongest party won’t make you the most money. Instead, being the second most powerful party will grant you more money! Remember though, that getting some money is always better than getting nothing. You must carefully coordinate your plays with your partner so that you and your partner will end up with the most and second most powerful party! The story continues on in the assembly of darkness. Briberies, assassinations, and betrayals are means of the past. Nowadays, politicians are forming political factions aiming to gain grant. 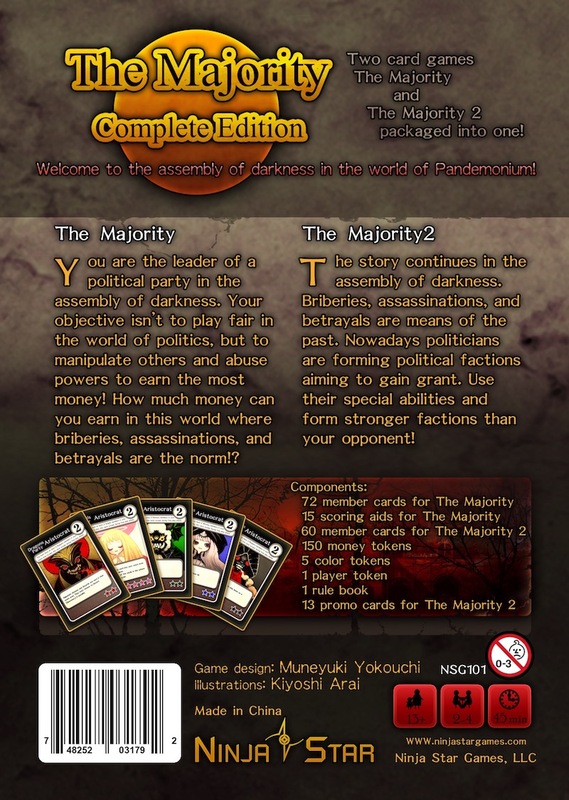 The Majority 2 is playable only with 2 players. 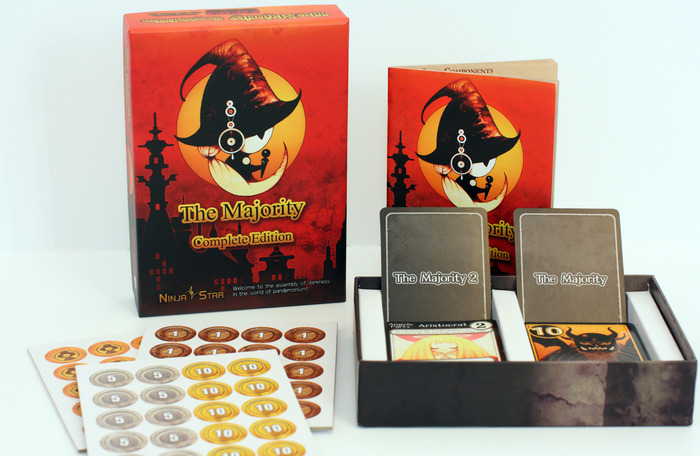 In this game, a player’s goal is to create more political factions with higher authorities than his or her opponent. Board members are the various residents of the pandemonium, including Witches, Demons, Dragons, Angels, and Reapers. These inhumane creatures are equipped with exciting and powerful special abilities that can aid their factions or hinder their opponents. 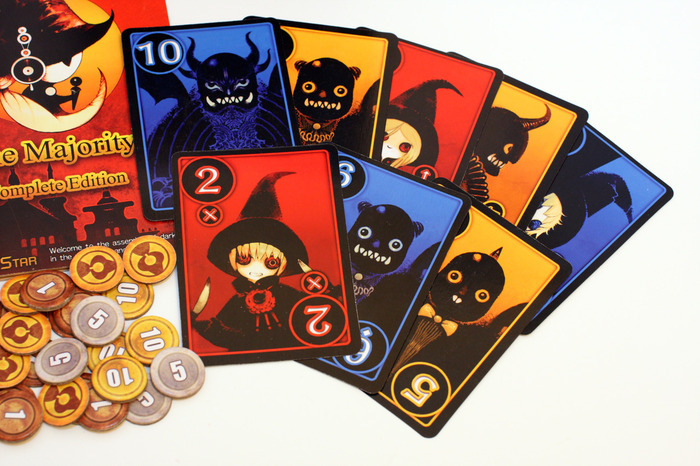 The game has a unique card drafting mechanics where the hand of cards is shared between the player and their opponent. Therefore, the player must carefully decide when and which politicians to hire for their factions, as those left behind may comeback as a member of the opposition!